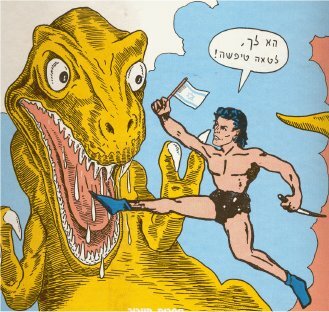 History: Rav Sha'anan is an unfit superhero who has to battle a family of dinosaurs who threaten to destroy the universe after they have taken over a nuclear base on another planet. Comments: Created by Dudu Geva. Thanks to Eli Eshed for informing me of this character's existence, and providing both information and images of him.